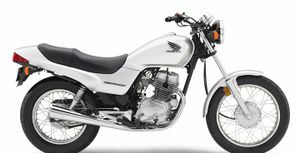 The Honda CB250 (known as the Nighthawk in the United States) fits in the 250 cc class of motorbikes, and has a 234 cc air cooled parallel twin engine. 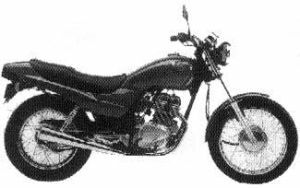 The engine generates 20 hp (15 kW) and 14 lft·lbf of torque, achieves a top speed of around 80 mph (130 km/h) and has a dual-drum brake setup (front disk brake in Australia). It's light (130 kg), maneuverable, inexpensive to buy, economical to run, easy to maintain and attractive. 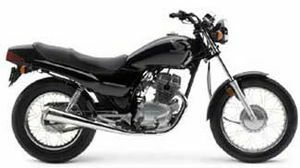 It is considered one of the best motorcycles to learn on and is used by most Motorcycle Safety Foundation (MSF) training courses. 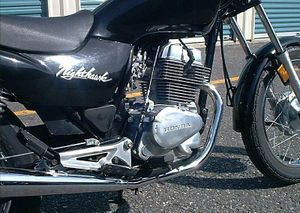 The Honda Nighthawk CB250'91 (CB250L'91 in California) was sold in 1991. 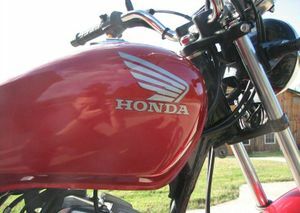 One color was available: Passion Red. 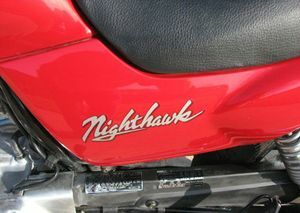 The "HONDA" wing and "NIGHTHAWK" decals were silver. 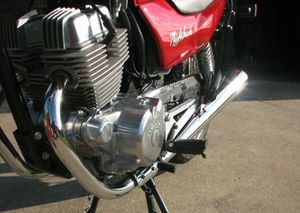 The engine was a 234cc 4-stroke OHC parallel twin with a 5-speed transmission. The California serial number began JH2MC241*MK000007 while the rest of the United States models began JH2MC240*MK000014 (where the * indicates a checksum number). 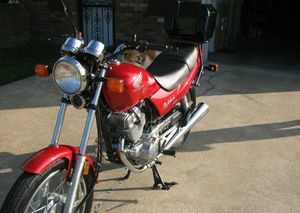 The CB250'92 Nighthawk was sold in 1992 in either Myth Blue Metallic or Passion Red. The engine was a 234cc 4-stroke OHC parallel twin with a 5-speed transmission. 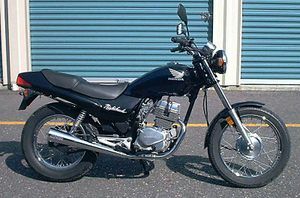 The serial number began JH2MC240*NK100001. The CB250'93 Nighthawk was sold in 1993 in one of three colors: Black, Candy Bourgogne Red, or Candy Tahitian Blue. 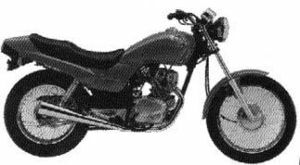 The engine was a 234cc 4-stroke OHC parallel twin with a 5-speed transmission. 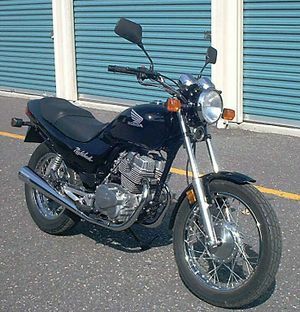 The serial number began JH2MC240*PK200001. The CB250'94 Nighthawk was sold in 1994 in one of three colors: Black, Metallic Blue, or Candy Red. 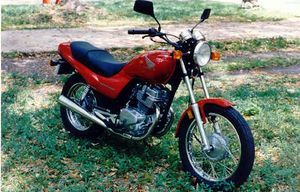 The engine was a 234cc 4-stroke OHC parallel twin with a 5-speed transmission. 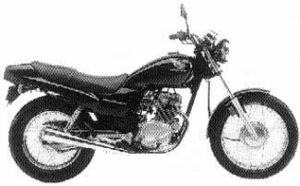 The serial number began JH2MC240*RK300001. 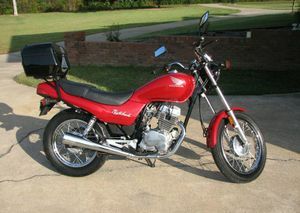 The CB250'95 Nighthawk was sold in 1995 in only two colors: Black or Candy Red. The engine was a 234cc 4-stroke OHC parallel twin with a 5-speed transmission. The serial number began JH2MC240*SK400001. 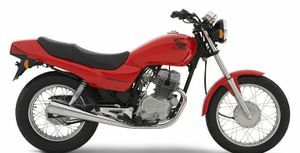 The CB250'96 Nighthawk was sold in 1996 in the same two colors as the previous year: Black or Candy Red. 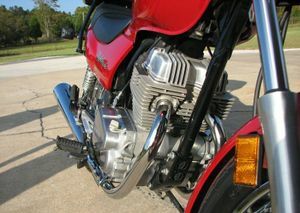 The engine was a 234cc 4-stroke OHC parallel twin with a 5-speed transmission. 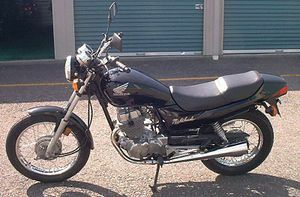 The serial number began JH2MC240*TK500001. The CB250'97 Nighthawk was sold in 1997 in the same two colors as the '95 and '96 models: Black or Candy Red. The engine was a 234cc 4-stroke OHC parallel twin with a 5-speed transmission. The serial number began JH2MC240*VK600001.